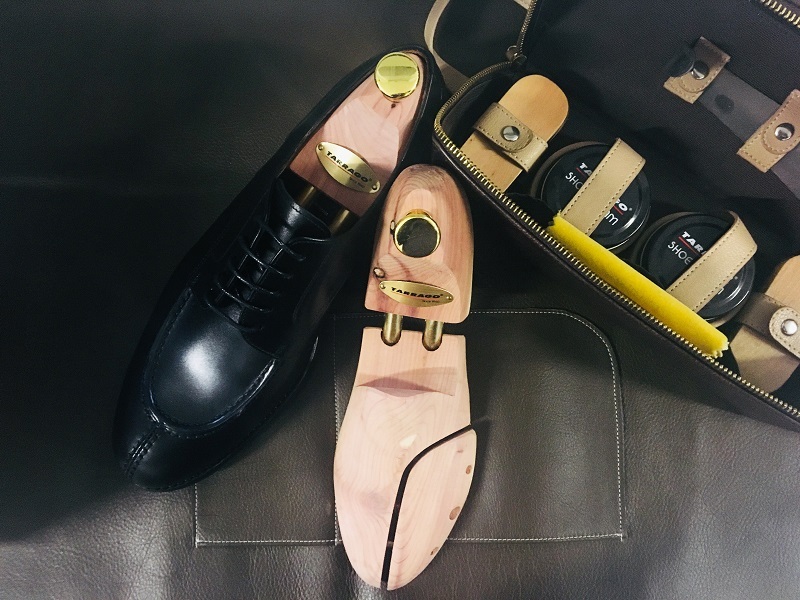 In order to maintain the shape and character of our finest leather shoes, Tarrago Cedar shoe tree is a must. The amazing absorbing power of cedar will protect the leather, fabric, shoe stitching and sole from moisture damage, it will prevent cracking and will keep the shape of the shoes while deodorizing with a natural cedar fresh aroma. Shoes will be more comfortable and lasting. Everybody has dealt with smelly shoes, so to prevent that ever happening again, the regular use of Tarrago New Fresh Deodorant Spray is the solution. With its floral essence, it neutralizes any odor and provides a fresh scent. 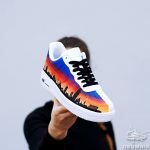 With its easy application directly inside the footwear and its long durability, shoes will be fresh from heel to toe for 48 hours. Third, keep the dirt off. Brushing our shoes will make them dust free, this way we prevent dirt to settle in the leather. 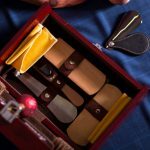 Tarrago De Luxe Brush, with synthetic and brass bristles, is suitable for a delicate and effective cleaning of suede and nubuck without damaging the leather. Keeping the good look of our shoes requires to keep them clean. For this purpose, Tarrago Universal Cleaner is what we need. It is a liquid cleaner, suitable for all colors. Specially recommended for leather goods and upholstery. For all types of leather (footwear, bags, belts, etc. ), suede, nubuck and fabric. And finally fifth, protect our shoes. Waterproofing our shoes is a good practice when it comes to maintain them and keep our feet dry and warm. Tarrago Universal Protector helps to prevent water soaking into the footwear. It also works as a dirt repellent preventing damages on the leather or fabrics, and it does not change the original colors or characteristics of the leather. It does not affect either its breathability. Tested and recommended for breathable and waterproof membranes. For leather, synthetic leather, oiled leather, suede, nubuck and fabric.